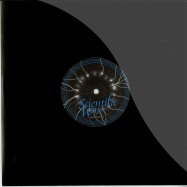 scientific wax is very proud to present three slices of breakbeat chaos from label debutont, champa b. first up, torment fuses influences of renegade hardware and metalheadz with champas trademark sound to produce a post apocalyptic tear out that manages to effortlessly build from rolling breaks towards a deadly drop and back again. soldiers of the cause isnt for the faint hearted. dub samples, warping sub bass and sci wax’s trademark amen edits make for an intense dance-floor experience that leaves you too out of breath to shout reload! 5:40 continues the reign of terror with brutal, switching breaks and eerie film sounds. resistance is futile. this 12 inch should come with a warning label. lion step proves that a tune doesnt have to be amen to tear down the place. heavily influenced by the more vigorous side of the dub spectrum, drum rolls, analogue synths, and even the lions roar combine to devastating effect. the flip side, no more games, initially suggests a more relaxed affair with its lush intro and plangent atmosphere. however, the dark clouds soon roll in and the track morphs in to an all out assault on the senses, underpinned by switching amens, cutting edge science and a string line straight from dark side. natalie’s rhodes begins serene and beautiful and unlike its b side companion remains that way. 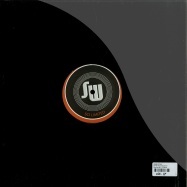 a truly diverse and unique effort from sci wax stalwart dub one. scientific wax welcomes the arrival of the procurer of darkness – drum cypha. 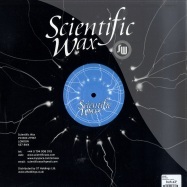 this release on sci wax sister label, sci limited, contains all the quintessential elements of drum cypha – tough beats, sub zero bass and corrosive synth lines. enter the sasquatch lures you in to a false sense of security with its good looking-esque strings and percussion, only to drain in to a pit of dread and anger. the persistent mentasm preoccupies your thoughts while your body succumbs to the machine gun snare patterns and surging bass. 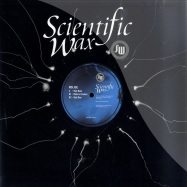 b-key returns to the scientific wax camp with a double header on sister label sci limited – scatter sees him channelling vintage 96 era dillinja, whilst the core revisits moving shadow era techstep on a reverse cut piece of wax. limited edition. 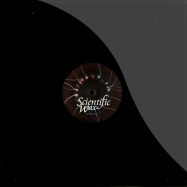 ultra limited new vinyl release from scientific wax own nebula. 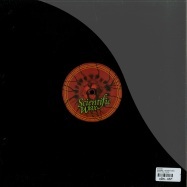 classic jungle from the london based label. 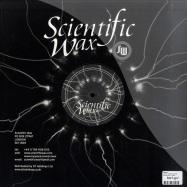 ultra limited new vinyl release from dub one for the legendary scientific wax label ran and owned by equinox. to mark the milestone of reaching ten releases on the main label, b-key and dub-one take on remixing duties on two of our favourite tracks from our previous releases. 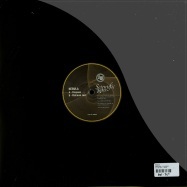 dub-one slices b-keys moody the mask into source direct-levels of intricate beats and pummelling sub, whilst b-key outdoes himself with a dubwise take on dub-ones murder sound. limited edition 10 inch. 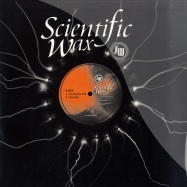 b-keys debut 12 inch on scientific wax showcases the timeless rough with the smooth sound, >the guitars tune< opening with lush, spine-tingling atmospherics before deep, crunchy beats & bass let rip. the flip sees b-key exploring a darker sound, with >the mask< taking us down a deep & dark path, reminiscent of the source direct sound. one for all the amen lovers out there. 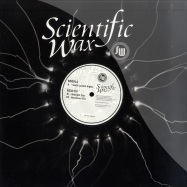 scientific wax are back with their next instalment of true school beats. their rising star nolige has been quietly honing his talents & appearing on the hugely successful the alliance of science ? volume 1 cd. as well as collaborations with fellow wolverhampton junglist skitty. 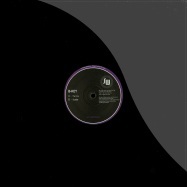 here he makes his full 12inch debut in fine style. red rain is one for the amen heads who like it deeeep. this bassline killer has all the hallmarks of the hey days of reinforced. riders groove with its frantic rhythm will appease fans of digital and badboy takes you right back to 1993 and is reminiscent of basement records. staying true to the cause, equinox and his family keep that original flavour alive in the way only they know how. 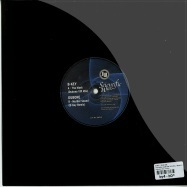 dj support includes equinox, bailey, dub one, mantra & double o.